Henry Wu (aka Kamaal Williams of Yussef Kamaal) returns to Eglo Records following on from his joint EP with K15. 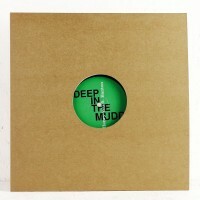 ‘Deep In The Mudd’ is a heavy weight 6 track EP which journeys through Broken Beat, House, Hip Hop and Jazz. The previously released ‘Negotiate’ ft. Simeon Jones, which originally came out on Eglo sister label Hotep, gets a 2017 remix courtesy of the legendary Kaidi Tatham and uk funky OG Hardhouse Banton joins Wu on title track ‘Deep In The Mudd’ and ‘Century’. Essential business, no messing about!